The conference, one the biggest of its kind in the Southern Hemisphere, attracted delegates from over forty nations. At the conference, David Geldart explained the foundation, development and impact of the charity’s work in South Africa, using sport as a catalyst to promote education, health, global citizenship and leadership in one of the countries most deprived rural areas. The presentation highlighted the pioneering work of St. Mary's School, Menston, the University of Leeds and Leeds Trinity University in the partnership and encouraged other schools, colleges and universities from around the world to also become involved in similar projects, stressing the mutual benefits for all concerned. 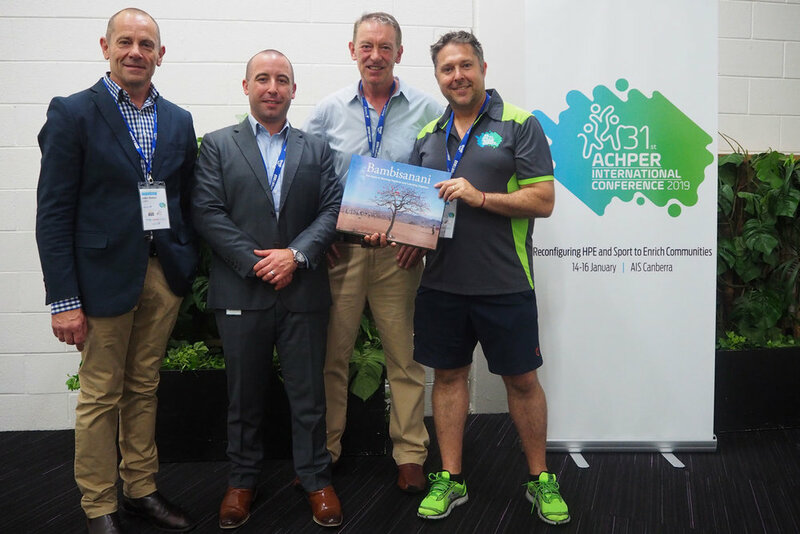 Copies of the highly acclaimed Bambisanani book 'Bambisanani: Ten Years of Working Together and Learning Together' were presented at the Conference to ACPHER President Dr Shane Pill and to Pierre Comis from Sport Australia.